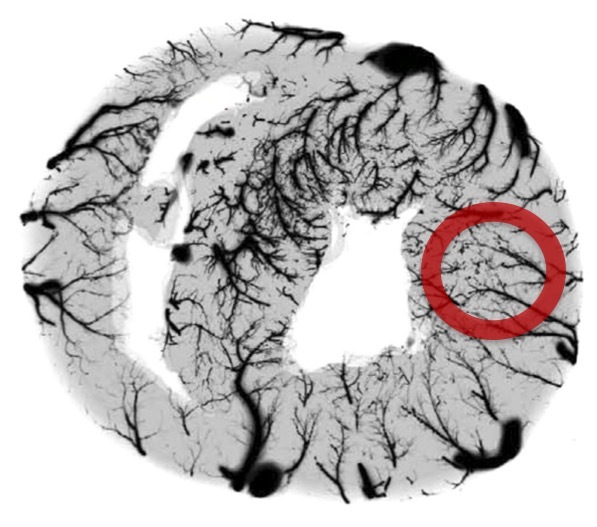 Welcome to the homepage of the Translational Imaging of Microcirculation (TIM) research laboratory. Our lab is focused on noninvasive imaging of microvascular health and function/reactivity using innovative cardiovascular magnetic resonance imaging (MRI) techniques. We are developing and validating new functional MRI markers of coronary microcirculation based on high-resolution quantitative myocardial perfusion and blood volume mapping techniques. A significant component of our research effort is devoted to developing novel data acquisition strategies (MRI pulse sequences) and computational image formation (accelerated reconstruction) techniques. We are ultimately aiming to enable reliable and accurate characterization of the relationship between myocardial imaging markers and progression of cardiovascular disease, with an emphasis on translational/mechanistic studies in the context of “small vessel” disease and coronary vasomotor/endothelial dysfunction. TIM lab is located at Cedars-Sinai Biomedical Imaging Research Institute (BIRI) in Los Angeles and is affiliated with UCLA David Geffen School of Medicine. Translational imaging studies are conducted using research-dedicated preclinical and clinical imaging facilities at BIRI and in collaboration with internal and external physicians/scientists. The research at TIM lab is supported by NIH National Heart, Lung and Blood Institute, American Heart Association, Cedars-Sinai Biomedical Imaging Research Institute, and Cedars-Sinai Women's Heart Center.